Ruby is an object-oriented programming language that is best known as a language for Web Applications. Ruby is also very popular as a scripting language. Here’s a list of the best Ruby tutorials, best Ruby books and best Ruby courses to help you learn Ruby programming in 2019. Learn to Code with Ruby by Boris Paskhaver is a comprehensive introduction to coding with the Ruby programming language. This comprehensive Ruby course is an in-depth overview of coding with Ruby. Ruby is popular for its simplicity and elegance. This Ruby tutorial is ideal for beginner programmers who want to start with an easy, human-friendly language. You will solve popular coding challenges with Ruby. This Ruby video training you help you utilize common objects like Strings, Arrays, Hashes, etc. in Ruby. Ruby Regular Expression (Regex) is touched upon. Important and complex Ruby topics like Classes, Modules, and Inheritance are also taught in this Ruby training. This is one of the best Ruby tutorials for beginners in 2019. Comprehensive Ruby Programming by Jordan Hudgens will help you learn how to program in the Ruby programming language. This Ruby video tutorial will start from scratch and move to advanced coding techniques. You learn how to use Ruby Regex (Regular Expressions). RubyGem libraries and how to use them are looked at. You will learn all about Ruby programming best practices. This Ruby course will teach you Object oriented programming in Ruby. You will be building 10 Ruby programs that solve complex Project Euler mathematical equations. This will help you start building real life Ruby applications and programs. You are also given an introduction to Ruby on Rails and Sinatra frameworks. This is one of the best Ruby tutorials in 2019. Ruby Metaprogramming – Complete Course by Said Abduvaliev will teach you meta-programming behind Ruby and Ruby on Rails. Understanding Ruby metaprogrammming will take you from Ruby novice developer to Ruby professional developer. You will write better test code more by writing test that dynamically generate code that covers all test cases. This Ruby Metaprogramming video will help you understand and explain the code in all popular gems. You will be able to write your own DSL’s for your business domain. This course will make you write better, elegant & efficient Ruby. This is one of the best Ruby metaprogramming tutorials in 2019. Ruby Programming for Beginners by Huw Collingbourne will help you learn Ruby programming the fast and easy way. This Ruby tutorial will teach you Ruby programming in 10 easy steps. Each of the steps tackles a different Ruby concept. This course takes a very hands-on approach to learning Ruby. Everything you learn will make you a great Rubyist. Your Ruby knowledge and skills will be tested with Ruby quizzes. This Ruby video course is packed with Ruby source code, Ruby sample files and Ruby examples. This is one of the best Ruby courses for beginners and those without any programming experience. Advanced Ruby Programming: 10 Steps to Mastery by Huw Collingbourne will take your Ruby programming to the next level. This Ruby course assumes you have mastered the basics of Ruby and are ready to move onto advanced Ruby. You will learn some of the more advanced Ruby features including blocks, procs, threads, regular expressions, exception handling, singletons and metaprogramming. You will also learn about advanced Ruby concepts like encapsulation, data hiding, singleton classes, modules, mixins, file handling, YAML and Marshal This is one of the best advanced Ruby tutorials. Intro To Ruby For Game Development by John Elder will teach you game development with Ruby Gosu. This Ruby game development tutorial will teach you game development using the Gosu library. You will start of with the basics of Ruby programming. Then you will move into Intermediate Ruby programming concepts. Finally, you will learn advanced Ruby concepts. After understating Ruby, you will be ready to use Gosu. Using the Gosu library, you will build a simple 2D spaceship game.This is one of the best Ruby Gosu tutorials in 2019. The Well-Grounded Rubyist by David A. Black is a beautiful guide to the Ruby language that will teach you all you need to know. David A. Black is an internationally-known software developer, author, trainer, speaker, and event organizer. 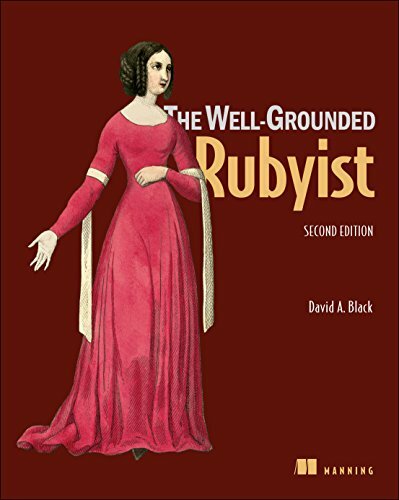 The Well-Grounded Rubyist is masterfully written and focuses on Ruby and all its concepts and how to use them. This book deepens your knowledge of all things Ruby and focuses on concepts such as keywords, enumerators, etc. The Well-Grounded Rubyist consists of 3 parts: 1) Foundations, 2)Class & Modules & 3)Dynamics. Within these three sections, you will learn everything you need to become adept at Ruby. The Well-Grounded Rubyist is great for both beginners and even [people who have used Ruby for a while. This is a well-written book that will make you familiar with all things Ruby. This is one of the best Ruby programming books in 2019. Effective Ruby is jam-packed with 48 tips & tricks that will make your Ruby code more elegant and can be implemented instantly. This is a very practical book that will improve your code by making it more maintainable and robust. Practical testing, avoiding dependency issues and many other problems everyday Ruby developers face are all tackled in these tips. Effective Ruby is filled with code examples that show and explain how to use these tips & tricks. Effective Ruby is filled with specific and actionable tips that any Ruby developer can follow along and start using. This is a book that shows you multiple ways to become a better Ruby developer. This is one of the best Ruby tips books in 2019. 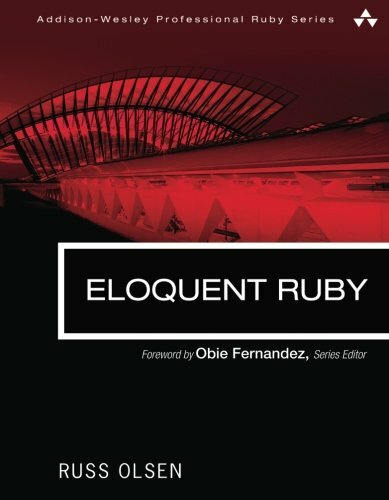 Eloquent Ruby by Russ Olsen is a guidebook for Ruby programmers to write better Ruby code. Russ Olsen is a developer. Eloquent Ruby is all about writing code following the best practices of Ruby, with a new approach on how to think and problem solve. The books starts with answering questions about why Ruby works the way it does, making it more and more clearer to you how to take advantage of this. Everything related to Ruby from control structures to methods and classes is discussed. Eloquent Ruby is great for programmers who have coded in other languages but are new to the Ruby programming language. This book will show you how to do things the better in Ruby and why to do them that way. This is one of the best Ruby books for beginners in 2019. The Ruby Way: Solutions and Techniques in Ruby Programming by Hal Fulton is a classic how to guide on writing great Ruby code using the Ruby way. Hal Fulton first began using Ruby in 1999 and André Arko is a consultant. The Ruby Way is packed with over hundreds of examples in a question & answer format. The answers are highly detailed, walking you through why and how to use that particular solution. Everything and anything related to Ruby is handled here. things such as “What kind of tools to use” or “using Ruby objects” and everything in-between is asked and answered in this book. This book is a Ruby encyclopedia organized by topic. 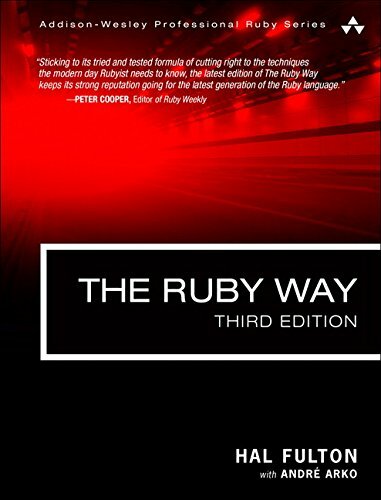 The Ruby Way is a book for intermediate or above level Ruby developers. Beginners may be overwhelmed by this book, given the size and amount of information. However, once you have mastered the basics of Ruby, The Ruby Way will guide you on the path to becoming a master Ruby developer. This is one of the best Ruby reference books in 2019. The Well-Grounded Rubyist is great for both beginners and even [people who have used Ruby for a while. This is a well-written book that will make you familiar with all things Ruby. This is one of the best Ruby books in 2018. 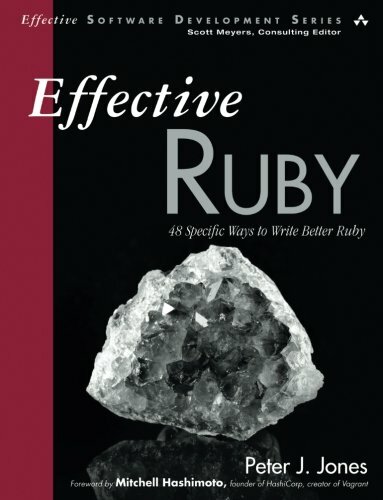 Effective Ruby is filled with specific and actionable tips that any Ruby developer can follow along and start using. This is a book that shows you multiple ways to become a better Ruby developer. This is one of the best Ruby question and answer books in 2018. Eloquent Ruby is great for programmers who have coded in other languages but are new to the Ruby programming language. This book will show you how to do things the better in Ruby and why to do them that way. This is one of the best Ruby programming books in 2018. The Ruby Way: Solutions and Techniques in Ruby Programming by Hal Fulton & André Arko is a classic how to guide on writing great Ruby code using the Ruby way. Hal Fulton first began using Ruby in 1999 and André Arko is a consultant. The Ruby Way is a book for intermediate or above level Ruby developers. Beginners may be overwhelmed by this book, given the size and amount of information. However, once you have mastered the basics of Ruby, The Ruby Way will guide you on the path to becoming a master Ruby developer. This is one of the best Ruby reference books in 2018. A comprehensive introduction to coding with the Ruby programming language. Complete beginners welcome! Learn how to program in the Ruby programming language, starting from scratch and moving to advanced coding techniques.